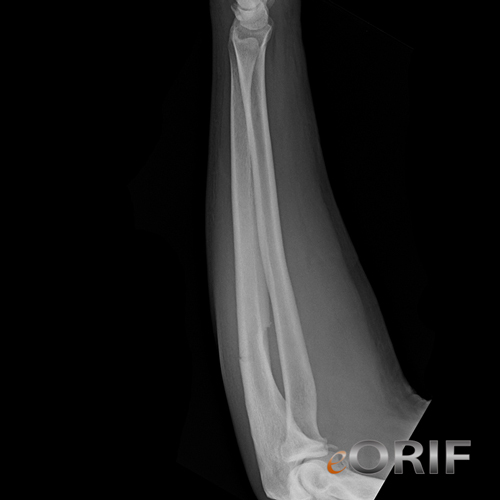 Most fractures of the ulnar shaft are caused by direct blows and result in minimal soft-tissue injury. 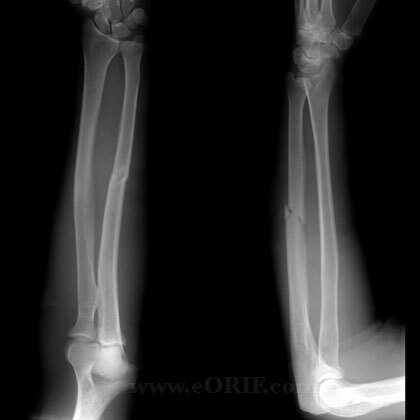 "Non-Displaced" Middle 1/3 (<50%displacement, <10° angulation): functional fracture brace or long arm cast. Ensure distal radioulnar joint is reduced. 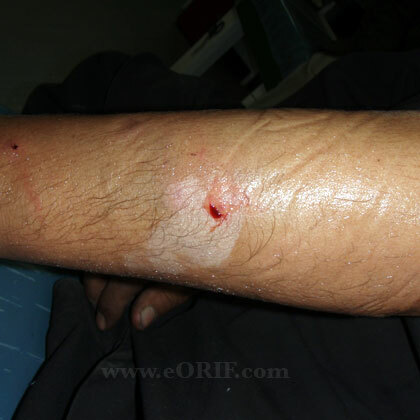 Proximal 1/3: ORIF, even non-displaced fractures have high propensity to displace with time. Non-Displaced Distal 1/3 (<5%displacement, <2° angulation): displacement in the distal 1/3 is poorly tolerated. Functional fracture brace or long arm cast if truely nondisplaced. Ensure distal radioulnar joint is reduced. Nonsurgical treatment leads to a high rate of union and a good functional outcome. (Zych GA, CORR 1987;219:194). 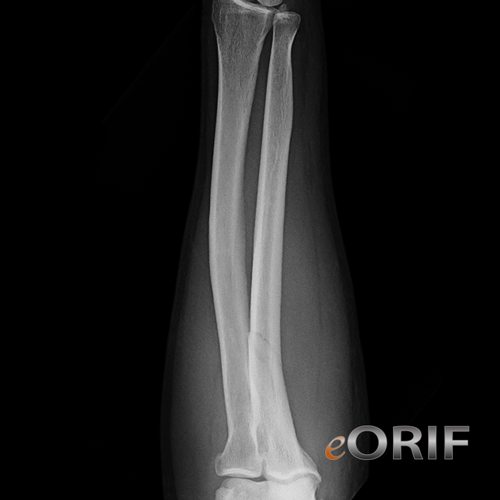 Radius and Ulnar Shaft Fracture.